Wet leisure companies have until tomorrow, Tuesday, September 22, to meet the final deadline for the submission of documentation for the Piscina & Wellness Barcelona 2015 Awards ahead of next month’s presentation ceremony. For the very first time this year the ceremony for the awards presentation will include the EUSA Awards on October 14. Anyone, wishing to enter the Piscina & Wellness Barcelona 2015 Awards, which have been established to promote the innovation and the sustainability within the booming wet leisure and wellness sector, now has only a short window of opportunity to submit their entry documents before final judging takes place. As previously reported, hot tub and pool specialists have been alerted to the fact that the Piscina & Wellness Barcelona exhibition is now being staged from October 13 to 16 at the Fira de Barcelona’s Gran Via Exhibition Centre, which is one week ahead of the initially planned dates. This move follows recommendations of the Spanish sector association ASOFAP and leading Spanish companies in the wet leisure sector. “We try to adapt as fully as possible to market needs so we can provide new business opportunities,” said President of the Piscina & Wellness Barcelona organising committee and chief executive of Fluidra Eloi Planes. 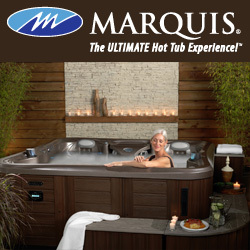 Among this year’s hot tub exhibitors will be MAAX Spas Netherlands, which has been heavily promoting the Arizona-based hot tub manufacturing giant’s Urban Series and the appliance grade models that have a lifetime steel structure warranty and physician-designed MAAX Zone Therapy, which utilises strategically positioned jets to target specific pain zones. Other exhibitors include: Abrisud Spain; Aquazzi France; Calorex Heat Pumps & Dehumidifiers; La Motte Europe; Fluidra Spain; and Freedom Pools Spain.